In March of 2009, my friend David Pitcher did a guest blog article entitled Wacom Intuos 4 –vs- Wacom Intuos3 and 3DConnexion SpaceExplorer combination that has been a very popular. Until recently I was still using my Intuos 3, so I couldn’t comment about the Intuos4, so I had little reason to update it. While I had heard good things about the Intuos4, I had two medium Intuos3 tablets and saw little reason to upgrade. Recently I upgraded to the Intuos4 wireless and now I’m kicking myself for waiting for so long! The first thing I noticed about the Intuos4 over my Intuos3, is that it “just worked”. My Intuos3 would just stop working – a lot, so I’d have to shake my Wacom mouse with the pen tracking it to get it to work again. 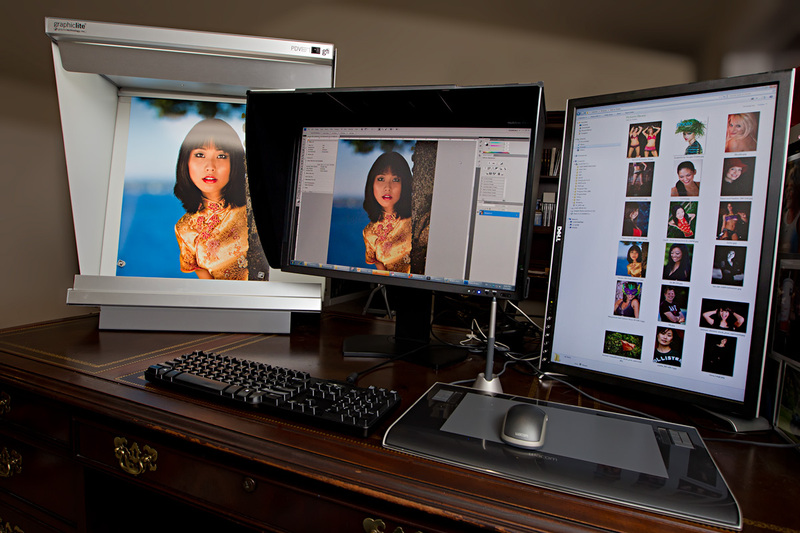 I also had some apps by Topaz Labs, onOne Software, ColorByte ImagePrint, and more that simply wouldn’t let me click certain objects with my Wacom – I had to use a separate mouse. This left me frustrated, so I only used it for fine detail work in Photoshop. When working in Photoshop, my Intuos3 worked well most of the time (more so on the Mac than the PC), but when it failed it was frustrating. My Intuos4 hasn’t had any of the aforementioned issues and feels much more precise. As a result, I find myself using it MUCH more. One thing I was very disappointed about with the wireless tablet was the absence of a mouse, as I used the Wacom mouse on my Intuos3 nearly full-time. I find right-clicking with stylus (3 or 4) to be maddening, so I want a mouse. I now have to resort to plugging in a separate mouse presumably because Wacom engineers realized that the 4 is so much better than the 3 that you wouldn’t use the mouse. That's not the case for me, but I do find myself using the Intuos4 pen 90% of the time for “mouse activities”, rather than being “just” a Photoshop brush in the past. Some say give up the mouse for a week and you’ll never go back, but I just haven’t had luck with that process. I want my mouse. My primary PC where I do most of my work is getting a bit old. As a result its bluetooth support is sketchy at best, so I find myself just leaving the Intuos4 plugged in all of the time. On my MacBook Pro it works great so I used it wirelessly most of the time and only connect it to charge. I’m really happy for this design (versus just requiring a battery change), as it allows me to use the power source of my choice. After I got settled in with 4, I immediately fell in love with the new controls. I never, ever, used the side buttons on the Intuos3 as I could never remember what they did (especially since it could change from product to product). Now I find myself using the hand button a long so I can scroll (which used to be a mouse only thing for me), and the touch ring works beautifully in Photoshop. I also really appreciate the help for more details about how my tablet is currently configured. David Pitcher’s guest blog article entitled Wacom Intuos 4 –vs- Wacom Intuos3 and 3DConnexion SpaceExplorer combination did a great job of explaining what all of the controls do, so I won’t repeat that here. I will say that in practice I mostly just use the touch ring, the hand button, and the help most often. One of my concerns about reviewing this unit is that I was coming from a medium Intuos3 which had a much larger work surface area. The surface of the Intuos4 wireless is 5x8” (12.7 x 20.3cm) versus 6.25" x 10.67" (158.8 x 271.0mm) for my Intuos3, so I expected to really feel boxed in. However, for photo editing this hasn’t been an issue as the improved edge to edge support (even in my complex dual screen setup with landscape and portrait orientation displays) has worked flawlessly. I don’t find myself picking up my pen and re-centering it as I did with the Intuos3, so it’s been easier for me to hit my targets on the first try. It just subconsciously feels much better. People doing freehand drawing might prefer the larger surface or the Cintiq, but for photography this size hasn’t been a problem at all. With that said, for my dual display configuration, I wouldn’t want to go smaller than this size. Personally I’ve found that I prefer to keep the tablet on my desk instead of my lap for photography editing. I’m not twisting my tablet around like someone who would be drawing would do, so I don’t think wireless is necessary for me. Bluetooth was so buggy on my older Windows system that I just gave up, and on the Mac I still found myself keeping it in one spot with it wired up. The beauty here is that if you can afford the wireless version you can have the best of both worlds, which is why I decided to go for this design. If I ever have a need or desire to go wireless, I can. If I don’t, I can just stay wired. If you want to save a little money though, you can consider getting the medium wired version. Lefties will rejoice at the new design and lap users will appreciate the lighter weight in addition to the lack of wires. These improvements along with the great controls and precision make it a real pleasure to use. Now that I’m used to my Intuos4, I’m struggling to use my 3 at my second office. I’m going to have to get another 4 as I can’t live without its reliability, precision, and wonderful side controls. These suckers are expensive, but they are totally worth it once you add it to your photography editing workflow. If you have an Intuos3, I give my highest recommendation on upgrading to the Intuos4 – it’s totally worth it! Wireless or not and size are personal preferences, but a medium wireless is a safe bet for most. If you don’t have a tablet, then I strongly urge you to get one if you use Photoshop. It just makes life so much easier when doing masks, healing, cloning, etc…. At the very least you should order it from B&H and try it out. You can always return it if you aren’t sure about it, but odds are you wouldn’t dream of returning it. Click here to buy your Intuos4 now and support this blog while you are at it – it doesn’t cost you a penny. You can also click here to learn more on Wacom’s website. David Pitcher’s guest blog article entitled Wacom Intuos 4 –vs- Wacom Intuos3 and 3DConnexion SpaceExplorer combination is a great read as well. Wacom provided me with an evaluation tablet to review, and I may make a commission if you make purchases using links in this article. I clicked on your BHP link to purchase because I liked your review. I usually do not click on affiliate type links because I don't like them; however, your review was nice and you were VERY clear about what the BHPhoto link meant. Thanks for your support! I work hard on this blog usually from 10:00 PM - 4:00 AM+, and I try to secure special deals for my readers whenever possible (Wacom couldn't). I appreciate your noticing that I do try to be very clear about the affiliate links and the fact that it doesn't cost you anything - either B&H will get more money or I'll get a very tiny amount so I appreciate your support that helps my wife to stay home with our toddler! my wacom intuos4 came with a mouse. of course you can order the mouse seperately, but i think thats only the case with the wireless version. frankly, i never use the wacom mouse on the tablet. it has a really awkward feel to it; compared to a normal mouse. I used my Wacom mouse all the time on my Intuos 3 and it wasn't nearly as cool as this one. I may try it out. My Wacom Intuos PTZ-630 is a 6×8 tablet, and, once I learned to turn off the buttons, I was very happy working with it, certainly compared with a mouse. When the pen and surface began to wear out and give problems I called Wacom, and they referred me to a page on the web listing the places in Canada where replacement parts could be purchased. This turned out to be a list of consumer junk discount mega-stores where, when someone finally answers the phone, they actually laugh at the idea that they would carry small replacement parts. The first store on the list had not heard of Wacom. One store listed does not deal with individual customers, and the part was not in stock anywhere. Finally I ordered from B&H in Boston, but they sent the wrong part. When I called they said the Wacom no longer made the part that I needed. I have wasted far more work time on this than the original cost of the tablet is worth. Had Wacom simply been honest, telling me that this model was no longer made and no longer serviced, I would have been far far better off. Instead they jerked me around so that I wasted valuable time. 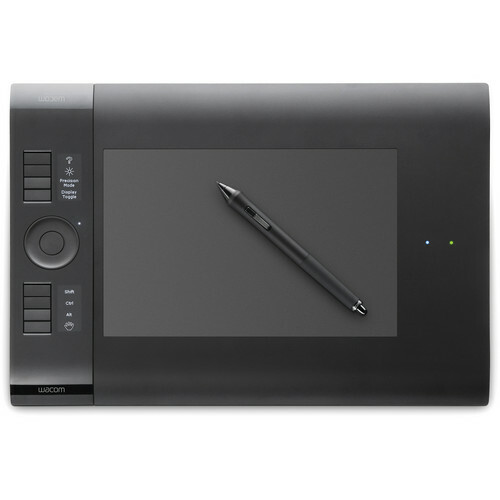 What is the best quality alternative to Wacom? All I plan to do with a new tablet is to clean scans from 35mm slides, and I do not need buttons on the tablet at all. If I want to save the image I can use my keyboard. The buttons on the Wacom that I had were a nuisance until I turned them all off. However, I do not want a surface any smaller than the 6×8. I certainly do not need a mouse to go with the tablet, and I resent having to buy unnecessary items like that. After several years of pondering, I still cannot imagine what I might do with the Wacom mouse. Does anyone make a tablet as useful for fine, hand-cleaning of images without the unnecessary features, one that is either cheap enough to replace fairly often, capable of being refurbished, or that will not wear out so fast? I've contacted my Wacom contact and he's forwarded your comment to customer care. I'm not sure if anything will come out of it as the Intuos 3 is now 2 generations old, but I did what I could for you. I've got two Intuos 3 and an Intuos 4 in use at my offices and have never had an issue that wasn't solved by a driver update, so I'm sorry to hear you've had a hardware problem. I use the Wacom mouse on all of mine too.